The Laguna is a low-rise apartment property comprising 90 new luxury freehold residences for sale on Langkawi island, Malaysia. The condominium-style development was conceived to provide residents with comfort, ease of living and world class views of part of a paradisiacal tropical setting. Arriving at the Laguna for the first time visitors are presented with a grand resort-style entrance firstly set off by a striking tiered waterfall and reflecting pool. To the left of that tropical scene granite and marble paths lead to a spacious reception area and lifts servicing the upper floors, while beyond an archway to the right is a large seaside pool and deck area on a par with Langkawi's 5* resorts. The apartments feature high grade fixtures and quality finishes as part of a modern and luxurious motif. Open floor plans and neutral tones combine for a spacious and highly pleasant condo-style living environment. Multiple and modern remote-controlled air conditioning units, centrally filtered water, and abundant satellite TV, telephone and internet connections deliver comfort and convenience in communications. Three bedroom apartments ranging from 2014 square feet to 2589 square feet. Ground floor units have extra/large outside living terraces. 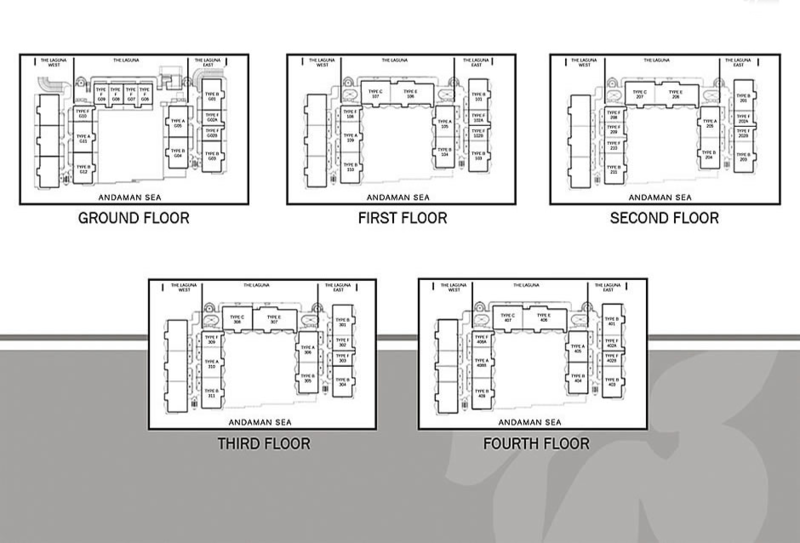 Floor plan is for reference only and can differ dependent upon location in the building. 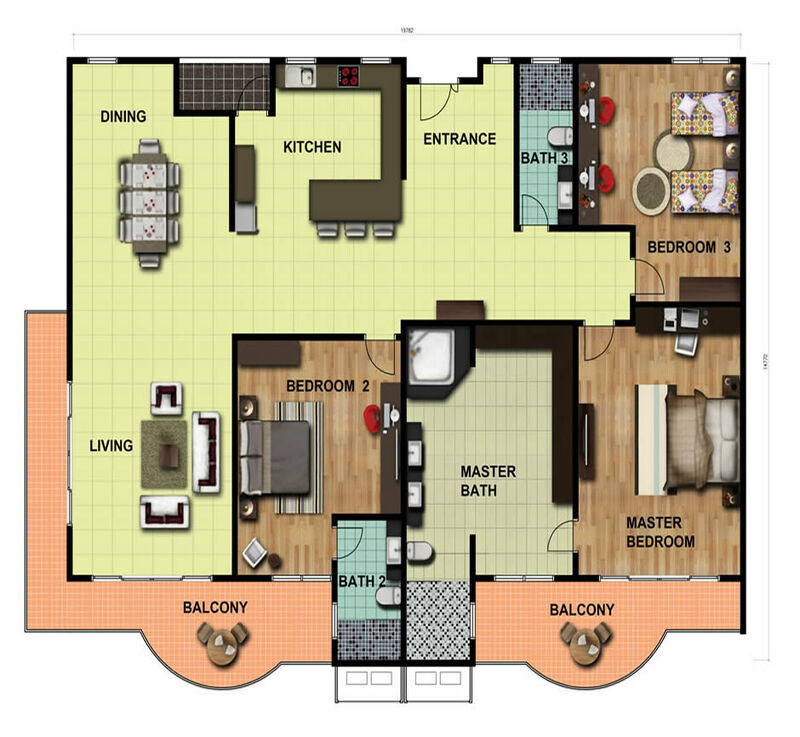 Three bedroom apartments ranging from 2014 square feet to 2589 square feet. 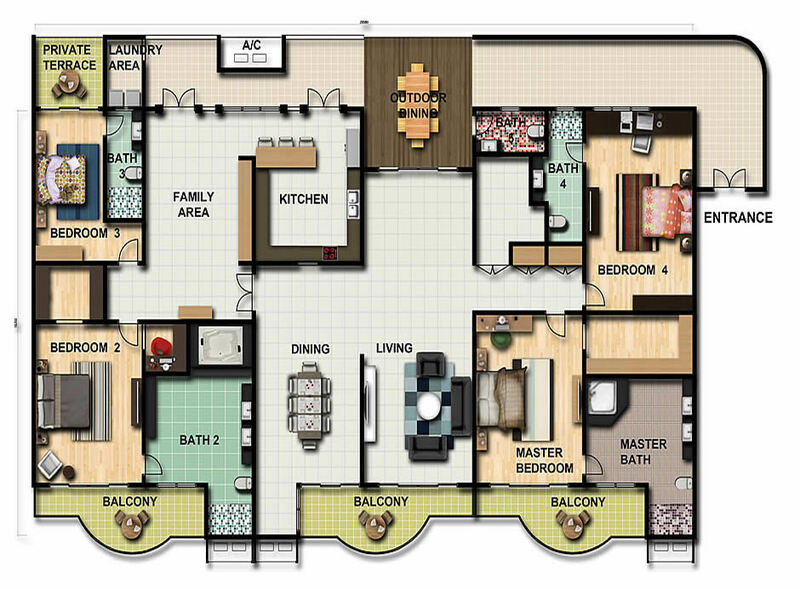 Three bedroom apartments ranging from 2090 square feet to 3036 square feet. Ground floor units have extra/large outside living terraces. Floorplan is for reference only and can differ dependent upon location in the building. 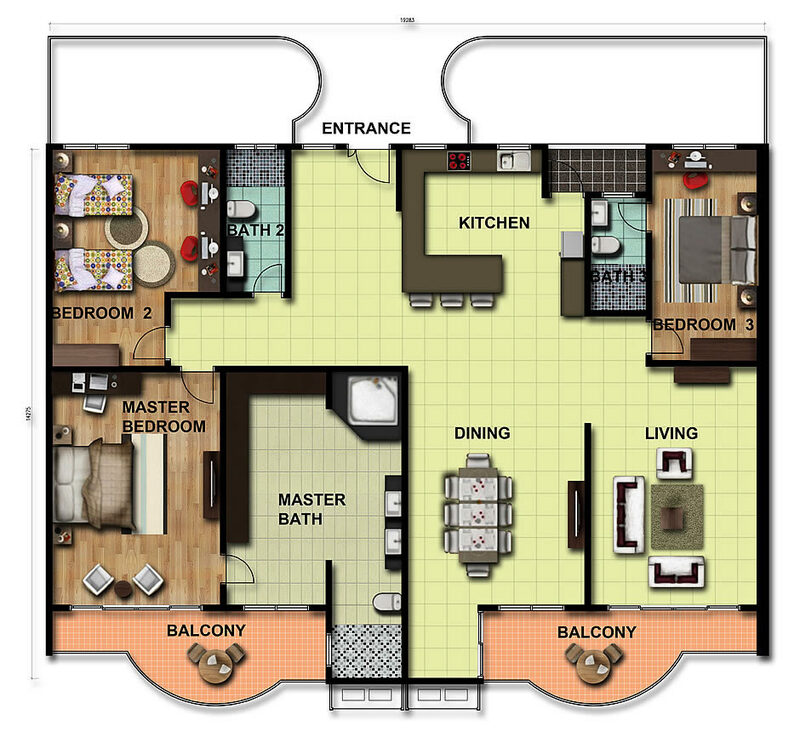 Three bedroom apartments ranging from 2090 square feet to 3036 square feet. Stunning, spacious four bedroom apartments of 3854 square feet with front and rear balconies and tessaces. Stunning, spacious four bedroom apartments of 3854 square feet with front and rear balconies and terraces. The Laguna have a range of apartment types A, B, C, D, E and F.
Into all apartment living areas Langkawi's abundant sunshine flows and natural light is abundant. Open floor plans offer a spacious and contemporary living environment, and with windows open the clean island air cools and refreshes. High quality appliances offer modern conveniences, a look of quality and energy efficiency. Impressive master bedroom suites are generous in proportion and sleekly chic with high grade finishes and modern fixtures. Built in wardrobes and opulently appointed bathrooms are standard in each apartment, of course. Each condominium-style apartment maximises the aesthetics of it's unique position within the building. That means stunning views of the Andaman Sea, Langkawi's mountains and the expansive seaside pool and deck. All apartments offer ocean, mountain or pool views - and many are situated so as to present all three serenely scenic island perspectives. Ground floor residents enjoy private rear decks and sundecks to the front facing pool. Corner sea-facing units feature panoramic-view wrap-around balconies. Intelligently designed interiors with large reception areas spanning the entire width of the apartment offer impressive views from the interior. And residents of each apartment can take in those stellar Langkawi island to Andaman Sea sunsets.